As a child of the early ‘90s, even I can remember a short but prominent period of life before my first cell phone: full of inescapable, awkward moments and face-to-face interactions that went unfiltered by a messaging app or social network. It was a time when people were forced to look ahead more often than we were compelled to look down. Today, the average American spends 4.7 hours on their phone each day, meaning we spend nearly a third of our waking life staring into the glowing abyss. It was only a matter of time before we began developing technology to save us from our addiction to technology, and specifically our smartphones. Here are five of the more promising solutions. After a 15-year-old girl was killed by a streetcar—while looking at her smartphone and listening to music through her earbuds—the city of Ausburg, Germany, installed traffic lights in the pavement so that people who are looking down at their phones won’t miss the fact that they are about to walk onto the tracks. Similar technology is now being used in Sydney, Australia, after pedestrian deaths in the region increased by nearly 50 percent from 2014 to 2015. Apps like Offtime, Flipd and Breakfree are meant to curb our addiction to, well, apps, by blocking or locking out users from Facebook, Twitter, email or any other non-essential program for a preselected amount of time. They’re basically the tech world’s version of autocratic checks and balances: a self-imposed detox that, in some cases, can’t be overridden no matter how many times you restart your phone. Don’t want your teenage kids to Snapchat their morning commute to their mindless summer job? Lifesaver is an app that will lock their phones when their car is in motion. Another app, SafeDrive, incentivizes safe driving with rewards: Drivers open the app before hitting the road, and earn points for not texting as they go along (redeemable for discounts at partner e-commerce sites). In New York, lawmakers are hoping to decrease the sharply rising rates of road fatalities (up 8 percent in 2015) by giving police a new tool in their belts. 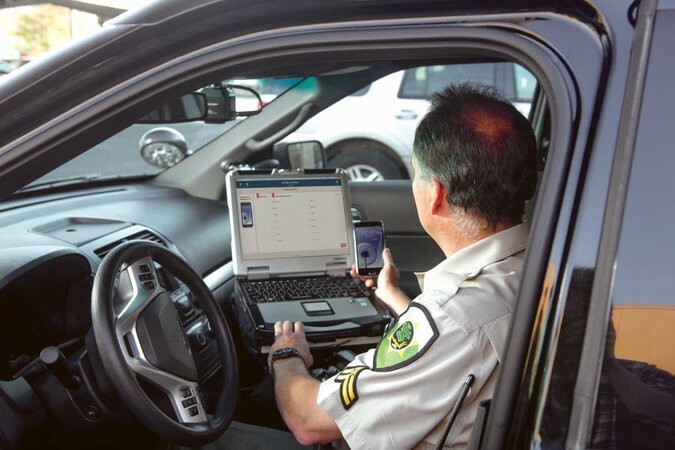 The so-called Textalyzer would let officers arriving at the scene of an action tap into a driver’s operating system to check for recent phone activity—and assign liability accordingly. Chino Kim, a 28-year-old artist wanting to rid his life of screens, realized that while he couldn’t get screens out of his shared space, he could at least remove them from his line of vision. His project Screeners uses a head-mounted webcam to look for screens in his environment. When it detects one, it sends a message to the smart film coating his glasses to turn opaque. For true addicts, blindness may be the only practical solution. Andrew Fiouzi is MEL’s editorial assistant. He last wrote about what would happen if entrepreneurs took over and government was run like a startup.